Essential oils are used widely for the treatment of multiple sclerosis (MS) due to their therapeutic properties. They are used as an alternative to other multiple sclerosis treatments like medications. They have a soothing and calming effect on the central nervous system. A massage with essential oils may give you a wonderful experience of relaxation. Due to the healing properties of essential oils they help in reducing some of the multiple sclerosis symptoms. Some essential oils have the ability to pass the blood brain barrier, making them effective in the treatment of multiple sclerosis. Basil essential oil is very beneficial in the treatment of nervous disorders like multiple sclerosis. By clearing the mind and giving mental strength, basil essential oil reduces fatigue, one of the multiple sclerosis symptoms. By bringing clarity, it helps in increasing the concentration. Basil essential oil also helps in relieving headaches, arthritis, migraines, nausea, gout, allergies and muscular pains. Clary Sage Essential oil has a calming effect on nervous system. Due to its calming and sedating effect on the nerves, it is used in the treatment of multiple sclerosis. Clary Sage essential oil when diluted in a bath or blended in massage oil, helps to reduce muscle pains and release nervous tension. It can also be used in treatment of anxiety, depression, insomnia, menstruation problems and stress. Cypress essential oil has a calming and soothing effect on nerves. And because of this reason cypress essential oil is used for multiple sclerosis. It also helps to reduce muscle pains associated with multiple sclerosis. Cypress essential oil is used to treat variety of other conditions like asthma, arthritis, menopause, heavy menstration, diarrhea and cellulite. Juniper essential oil when diluted in a bath or blended with massage oil relieves nervous tension and calms the nerves. It also helps in bladder problems (inability to pass urine) associated with multiple sclerosis. It can also be used in cases of cystitis, acne, eczema, gout, psoriasis and dandruff. Marjoram essential oil is found to be very beneficial in cases of nervous tension due to its warming action. It can either be diluted in bath or blended with massage oil or even used in vapor therapy. Marjoram essential oil can also relieve multiple sclerosis symptoms like muscle pains due to its muscle relaxant properties. It has beneficial action on asthma, bronchitis, sinusitis, colds and flu, headaches and painful periods. Peppermint essential oil is also beneficial in treatment nervous disorders. It is excellent for relieving mental fatigue, a symptom associated with multiple sclerosis. It is also very effective in stimulating mind and thereby improving concentration. It can also be used for relieving headaches, muscle pains, constipation and diarrhea. 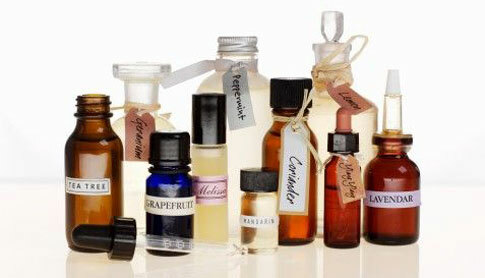 These essential oils can be used alone or in combination with other essential oils. For example: You can apply 4-6 drops each of juniper, geranium, peppermint and helichrysum essential oil along the spine. You can also apply 2-3 drops each of cypress and juniper essential oil to the back of neck.